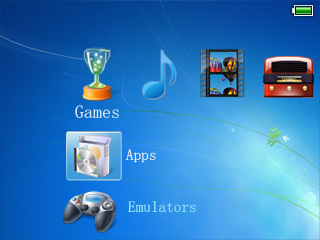 This theme will make you feel like using Windows 7 on your Dingoo. It is a total transformation pack and I will continue updating it depending on your requests and with your helps. Download the rar file below and unpack it. Replace every folder inside "res" folder in your Dingoo with the folders inside the "res" folder from the rar. Restart your Dingoo and use "Theme One".